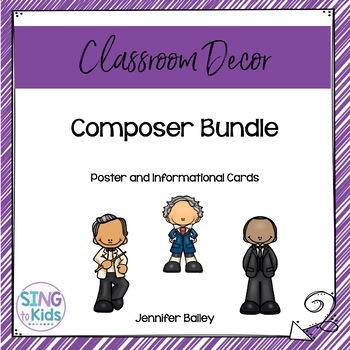 This resource includes two set of composer posters. 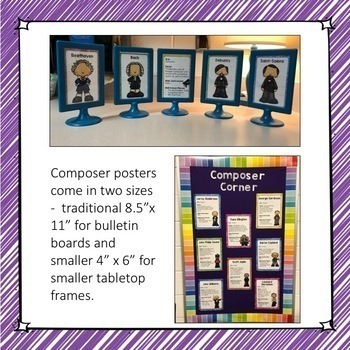 Traditional 8.5" x 11" posters are perfect for a classroom bulletin board. Smaller, 4" x 6" posters fit perfectly in tabletop frames. Did you know you can get TPT credit to use on future purchases? Click on My TpT and go to the My Purchases page. Beside each purchase you'll see a Provide Feedback button. Simply click it and you will be taken to a page where you can give a quick rating and leave a short comment for the product. Each time you give feedback, TPT gives you feedback credits that you use to lower the cost of your future purchases. I value your feedback greatly as it helps me understand how you use my products and what products you enjoy using in your classroom. Want to know about my new sales, freebies and product launches? See the green star next to my store logo? Click on it to become a follower! Perfect! Now you will receive updates about this store. 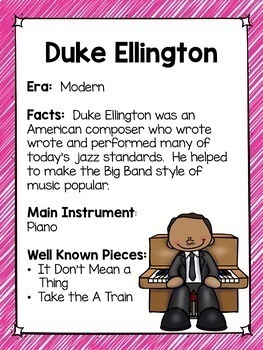 Copyright ©SingToKids. All rights reserved by author. This product is to be used by the original downloader only. Copying for more than one teacher, department, school, or school system is prohibited. This product may not be distributed or displayed digitally for public view. Failure to comply is a copyright infringement and a violation of the Digital Millennium Copyright Act (DMCA). 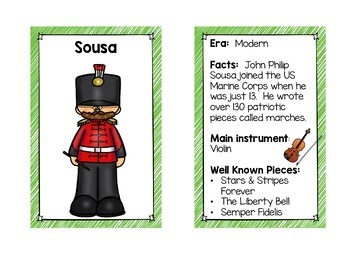 Clipart and elements found in this PDF are copyrighted and cannot be extracted and used outside of this file without permission or license. Intended for classroom and personal use ONLY.